I believe in redemption: that most humans do wrong things, and we are called on to change and make amends. Some people do and some don’t, but it’s something we need to do for growth alone, if for no other reason. Why some people are able to self-realize and change, and others cannot, is a mystery. Sometimes we just need to admit what we have done and forgive ourselves. I refuse to write a book where my characters are not touched by that kind of grace. Also, in fiction, characters who do not change are boring — as they are in real life. 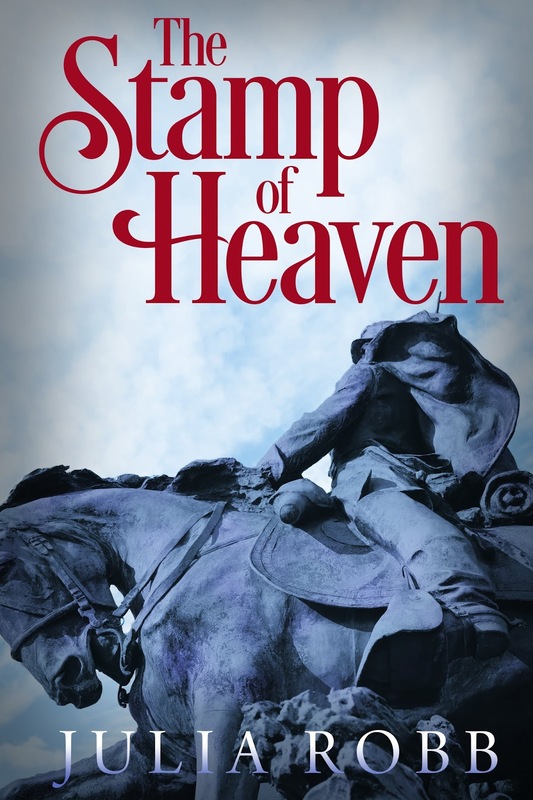 In The Stamp of Heaven, my protagonist, Beau, has done things he regrets (which hurt him as much as anyone else), and things he felt he had to do for other people. Beau burned down his parents’ plantation home, he had slaves, he murdered two men (for good reasons, but, oh well). Beau needs to come to terms with these things before he can go on in life. And he does. Why are your lead characters always male? Because I like men and find then more straightforward than women, because men can engage in physical violence when women can’t (on a sustained basis), and because I find them easier to understand than women. I like women, but they are more complicated then men. I can honestly say I have never read a book which contained a character I felt was remotely like me. I can tell you a recent book I really enjoyed. 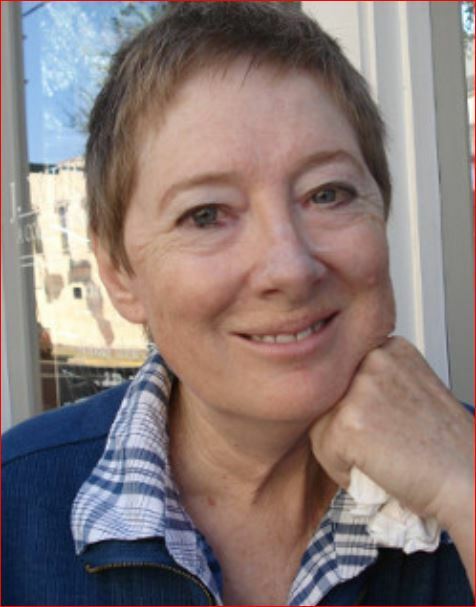 Readers, I loved Enemy Women, by Paulette Jiles. The time is the Civil War and the lead character is a Missouri mountain girl who is taken to a prison to be interrogated by a Union officer, who falls in love with her. This is not a romance novel but is about a man and woman falling for each other in a difficult time and place. It is also about the war, the hardest experience Americans have ever lived through. 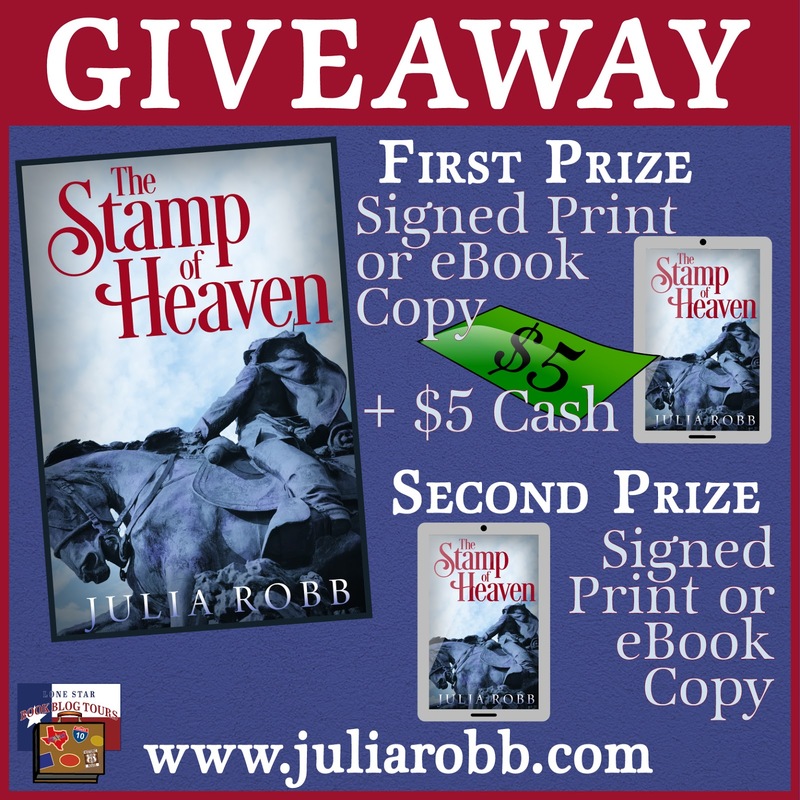 What did you enjoy most about writing The Stamp of Heaven? I enjoyed the psychiatrist questioning Caroline about her life and the lies Caroline told him. I enjoyed some of my characters’ supernatural experiences, the time Beau thought he had found his half-brother after a many-years search, and the time a spirit haunted Colonel Dietrich. Supernatural experiences are the most interesting things in life. Absolutely. Which one should I tell you? How about the ghost who haunted my house in Frederick, Maryland? The spirit, I think male, who paced the floor at the foot of my bed at night, scaring me to death. One morning, it came down to the kitchen and breathed into my face as I was trying to eat my cereal; then it disappeared. One night soon after, though, he didn’t pace at the foot of my bed, and I never heard him again.